Double header this week with both Glasser and The Cast Of Cheers sharing the mantle of The G-Man Gig Of The Week. True Panther Sounds artist Glasser lands in The Crawdaddy in Dublin this week (Thur 24th Feb) to showcase tunes from her 2010 album The Ring. The next night sees The Cast Of Cheers headline a great line-up in Whelan's - Friday (25th Feb). 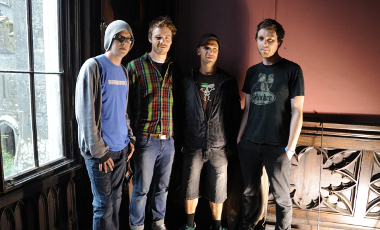 Debut album (and free download from bandcamp.com) Chariot took 2010 by storm and, with the line-up also filled by We Are Losers and Mia Farrow.